This has to be the strangest video I have seen for a long time. 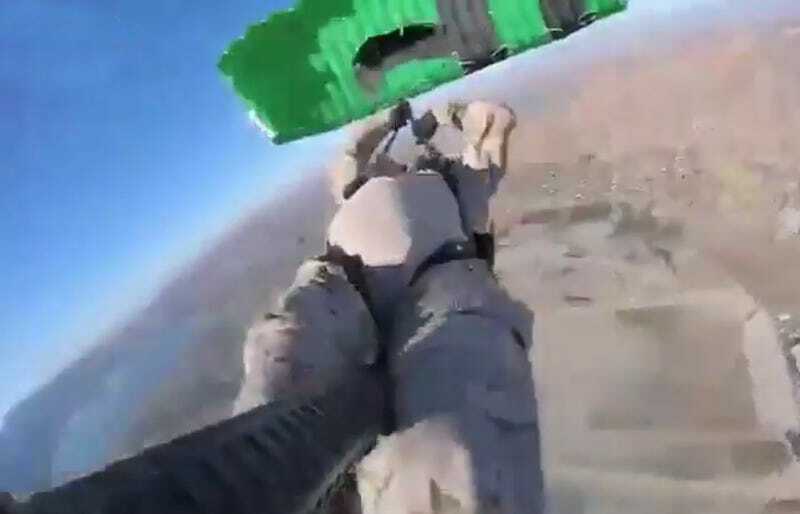 After acting out a ghoul attack during free fall, this dude in a army outfit, carrying what appears to be an M-16, has a major chute malfunction sending him into a spin. It may be bizzare, but it is some intense footage.